1. Celia Floral Wedge – Refreshing floral in white with a wooden wedge base, this wedge is on discount at wet seal for only $22.12! 2. 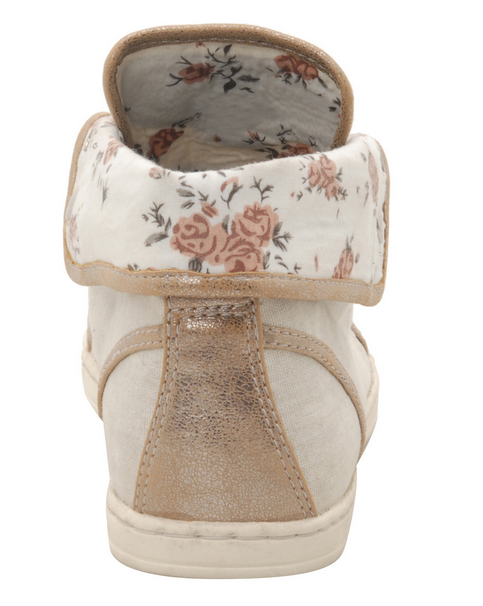 Floral Wood Platform – Another beautiful pump fro wet seal with a beautiful grandma’s curtain pattern. Discounted to $25.87 – comes in two designs. 3. Wakin – This release from Spring really caught my eye. GIrly, springish and subtle. So is you really plan to slip into some shoes in spring, this only is the perfect choice for only $50. 4. Caged Textured-Print Wedge – Nudes would never go out of trend ! Take a look at this yummy wedge from Charlotte Russe for $42.50 only. 5. 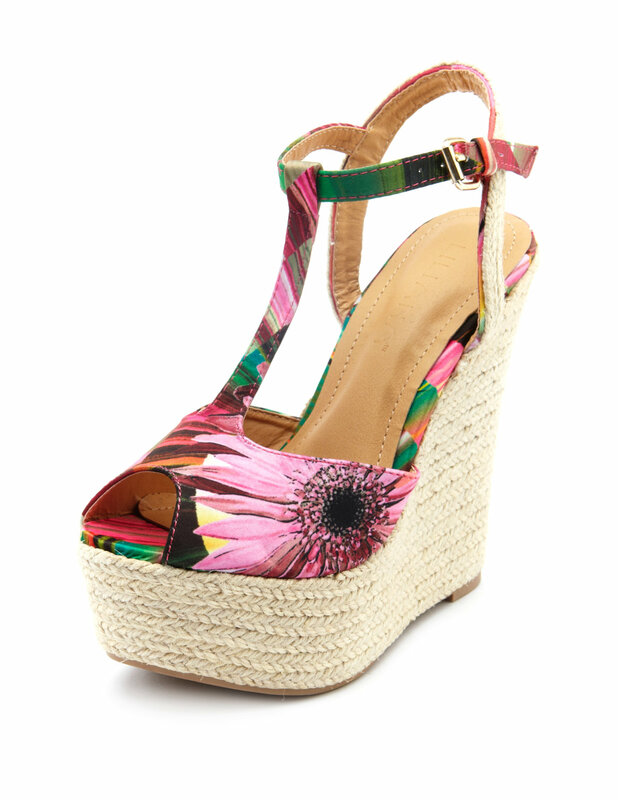 Printed Fabric T-Strap Wedge – Another gorgeous wedge from Charlotte russe with a perfect spring feeling. 6. 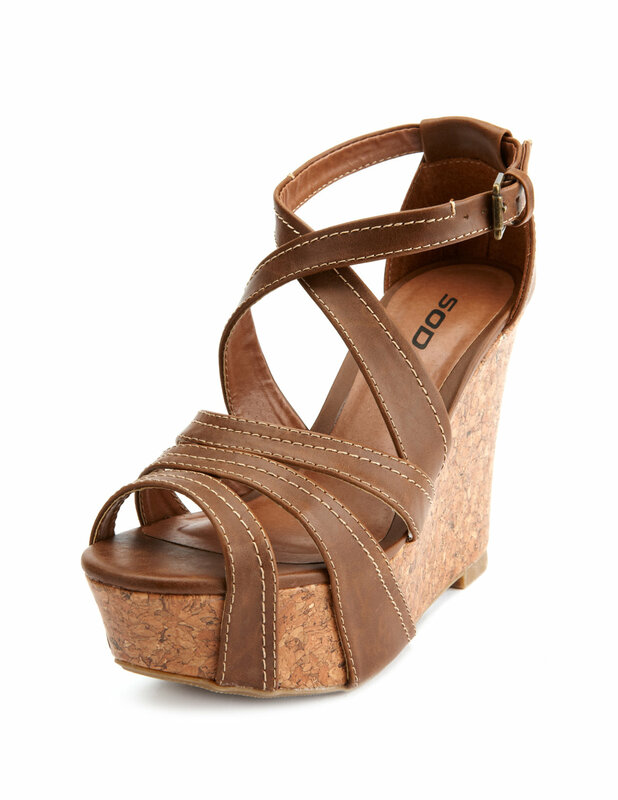 Strappy covered cork wedge – Another beautiful wedge with he conventional faux-leather straps for only $35.50. 7. 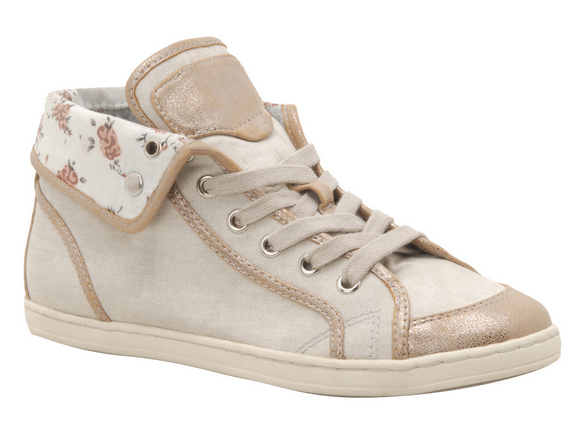 J.Renee Women’s Karma – This is for all those girls who wish to carry style with comfort. Understated fashion flats made with elastic linen offer a great comfort level – can be found on shoes.com for CAD 47.15. 8. Apple Bottoms Women’s Gizem – Beautiful gladiator sandals for those who would like to carry some ornate look this spring for only CAD 46.20. 9. X-front Polka Dot Satin Wedge – Looking for a red hot retro look this spring? Check this one out for $35.50. 10. 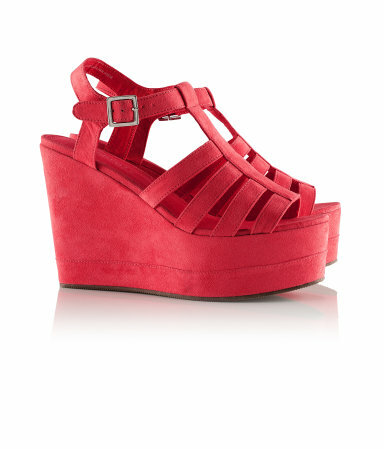 Suede Platform Sandals – These yummy red sandals from H&M totally caught my attention – $34.95.